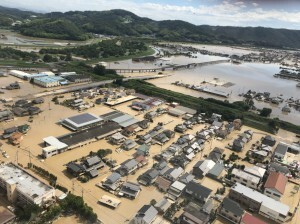 In early July, several days of torrential downpours have caused flash flooding and landslides across central and western parts of Japan prompting evacuation orders for more than two million people. 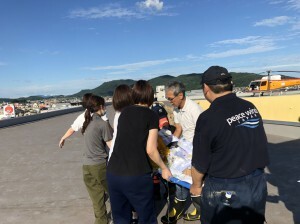 On July 6, Peace Winds Japan (PWJ) and its partner organizations, Civic-Force and Asia Pacific Alliance for Disaster Management Japan (A-PAD Japan) have formed a joint emergency relief team and on July 7, conducted aerial assessments around Hiroshima Prefecture and Kurashiki City, Okayama Prefecture, where serious damages had been reported. Since then, our team has been working closely with the local governments to ensure our support reaches to where most needed. 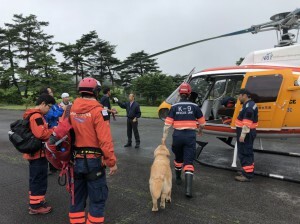 On July 8, our joint team cooperated with the Self Defense Force at Mabi Memorial Hospital in Masaki-cho, Kurashiki City in Okayama Prefecture, to assist with transporting patients, hospital staff and people from the nearby area who were stranded by the flood. 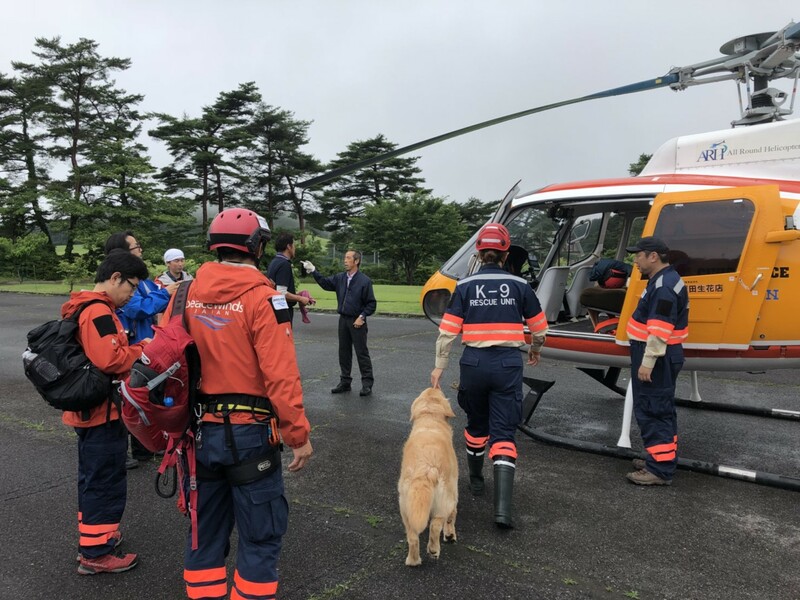 A PWJ helicopter transported eight patients requiring immediate emergency evacuation and our Search and Rescue (SAR) team helped others to reach safe areas by boats and rafts. 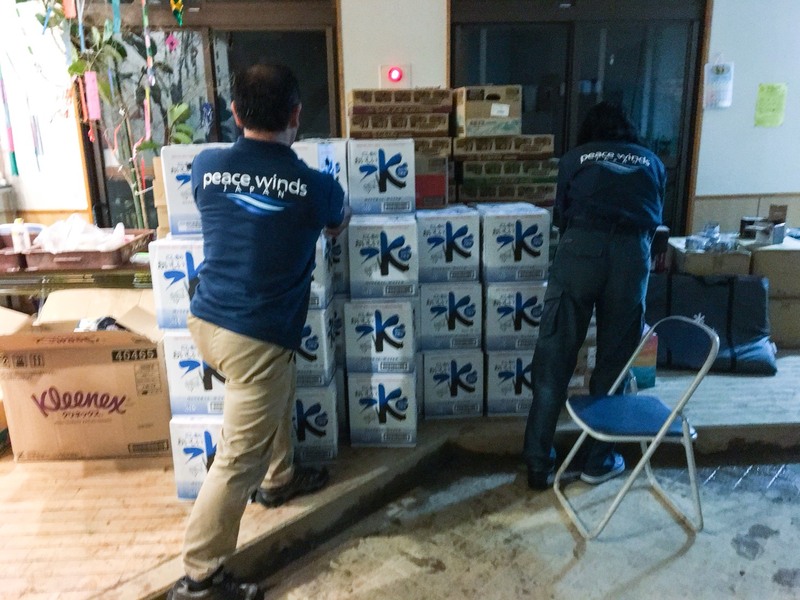 With on-going needs assessments, PWJ plans to extend and deliver emergency relief activities distributing emergency items to people at evacuation sites as well as communities heavily affected by floods and landslides. 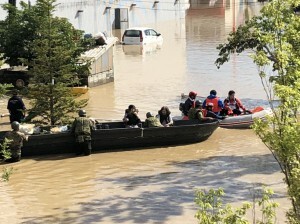 Below is a list of donation sites. 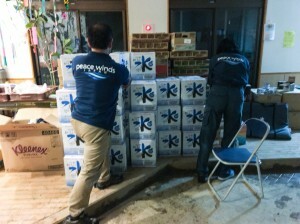 Please support our activities to help communities in dire need! Your generous donation will help us to reach more people to provide most needed assistance in flood/landslide affected areas in western Japan.